One of our passion is to have the best of the food each country have to offer. In this case, we present you what we consider the most knowledgeable tours featuring the most authentic portuguese cuisine. From cod to custard pastries, portuguese have a wide selection of regional, local and wonderful products that are the envy of some of our fellows european neighbours. Even if they don’t ever talk about it, or is difficult to them to recognize our simplistic -but tasteful- approach to food, focusing on great base food, and a few hints of flavour. So, if you have a penchant for exquisite cuisine and wish to be a connoisseur on Portuguese wines – grab our Eat and Drink Tours! Tantalize your taste buds with Portuguese tapas and savor the sweet taste of Lisbon’s favorite liquor “A Ginjinha”, check more details at Sunset Fado & Tapas Tour. Get the best opportunity to know and taste Portuguese wine, local delicacies such as São Jorge Cheese, Nata pastry and Cod fish cake and classic Portuguese dishes, avail of The Gourmet Walk Tour! Feast on authentic Lisbon pastries, cheese, seafood, wine and coffee while admiring the classical architecture and the magnificent views in Lisbon, check on Lisbon Experience Walk Tour! Get acquainted with Portuguese wine, go for the Portuguese Wine Tasting package! 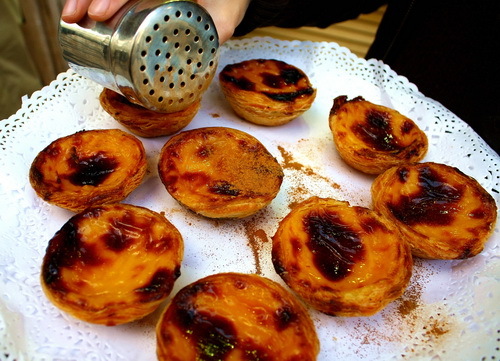 Have a look at our Gourmet Tours and enjoy the best food Portugal’s have got to offer. © 2019 Hi Lisbon Tours. All Rights Reserved.